Five Finger Death Punch News: Phil Labonte about replacing Ivan Moody in Five Finger Death Punch: "I hope that..."
Phil Labonte about replacing Ivan Moody in Five Finger Death Punch: "I hope that..."
Loudwire Nights host Toni Gonzalez recently had Phil Labonte in her studio, and talked about last night show in Tilburg. 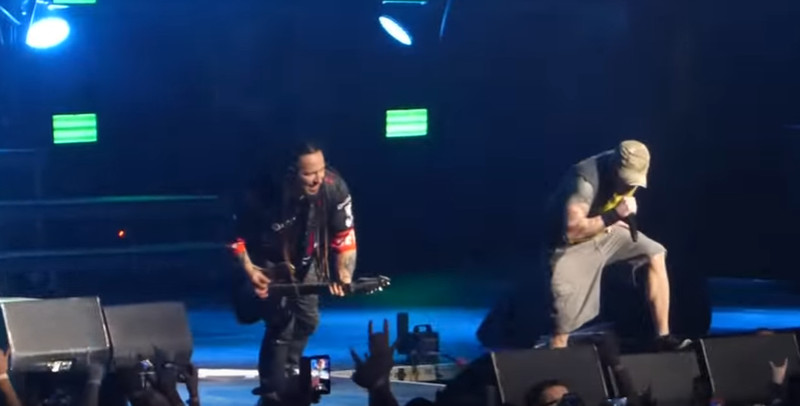 As to whether he’d consider replacing Ivan Moody if the FFDP singer leaves the band: "I’ve known Ivan since he was in Motograter, so since like 2000…. I think the first time that I met him was at 2005, which is actually before Death Punch started and yeah, he’s a great singer, he’s a good guy and we’ve been friends for ages and ages and I’m, you know really proud to call him a friend, so it is a little morbid but I mean, that’s the kind of nice kudos that you kind of want to be like, ‘Well I hope that never happens but thank you,’ you know?”.